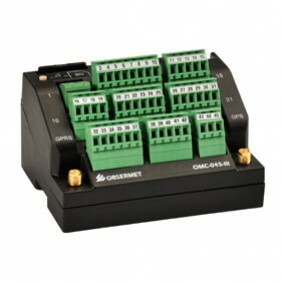 The OMC-045-III GPRS data logger is a low power, high-end data logger with built-in GPRS modem and GPS receiver. The logger has internal temperature and humidity sensors and has slots for a 2GB SD card and for a SIM card. It provides seamless interfacing to all meteorological and hydrological sensor from Observator Instruments and many more. It supports RS232/422/48, ModBus, NMEA and so on. Thresholds can be set on all parameters. If a parameter exceeds its threshold, an alarm is generated. Data is transferred by FTP or email over GPRS, or by an external satellite or radio modem. Like all other OMC-04x loggers, the 045-III can be configured using the free OMC-Programmer software and a USB cable. Several housing options are available, including a housing with a touch screen display and/or rechargeable batteries and various connectors. The OMC-042 GPRS data logger is a small, ultra low power logger with built-in QUAD-band GPRS modem. The logger has an internal temperature sensor and has slots for a 2GB SD card and for a SIM card. It provides seamless interfacing to all meteorological and hydrological sensor from Observator Instruments and many more. It supports RS232/422/485, ModBus, SDI-12, NMEA and so on. Thresholds can be set on all parameters. If a parameter exceeds its threshold, an alarm is generated. Data is transferred by FTP, TCP or email over GPRS. Like all other OMC-04x loggers, the 042 can be configured using the free OMC-Programmer software and a USB cable. Remote configuration over TCP is also possible. The OMC-040 GPRS data logger is a small, ultra low power logger with built-in QUAD-band GPRS modem. The logger has an internal temperature sensor and has slots for a 2GB SD card and for a SIM card. 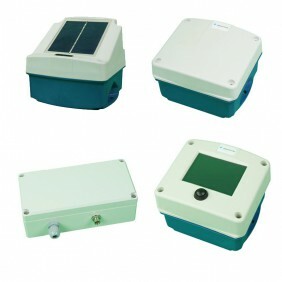 It provides seamless interfacing to all meteorological and hydrological sensor from Observator Instruments and many more. It supports RS232/422/485, ModBus, SDI-12, NMEA and so on. Thresholds can be set on all parameters. If a parameter exceeds its threshold, an alarm is generated. Data is transferred by FTP, TCP or email over GPRS. Like all other OMC-04x loggers, the 042 can be configured using the free OMC-Programmer software and a USB cable. Remote configuration over TCP is also possible. The unit is available in several housings and as ‘board only'. The tube housing is perfectly suited for groundwater monitoring purposes. 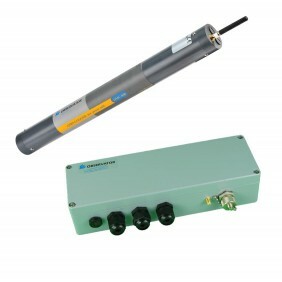 Because of its small size (40 mm diameter) the logger fits inside most wells. The GPRS antenna can be integrated in the lid of the well. The aluminum housing with three cable glands allows for easy connection to multiple sensors.